We Believe is the debut album from three of the most dynamic and up-and-coming songwriters in the Church today. Clayton Brooks (Worship Pastor, The Oaks, Dallas, Texas), Kurtis Parks (Worship Pastor, National Community Church, Washington, D.C.) and Ryan Williams (Worship Pastor, River Valley Church, Twin Cities, Minn.) collaborated to write songs that will bring believers from around the world together in unity and prayer. Recorded live at the 7:14 Prayer Conference in March 2013 and produced by Integrity Music and Influence Resources, We Believe shows the power of God's people uniting for a singular purpose: to glorify God and seek His presence. Sincerity, genuineness and a special sense of His presence permeate the songs, including "Take Me In" and "Every Good Gift," which are destined to become part of Sunday worship services across the globe. 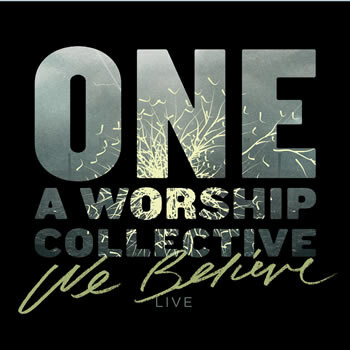 The title track "We Believe" was penned as the theme for the Assemblies of God General Council 2013 and will call more than 30,000 believers to worship on the album's release date, Aug. 6, 2013, in Orlando, Fla.